On the far west end of Cuba lies the countryside of Viñales, and on the far east end of Cuba lies the small city and countryside of Baracoa. The history of Cuba’s oldest city is fascinating; the slave rebellion of Haiti in the 1700s resulted in the westward flee of the French to Cuba. Since Cuba is only ~70 km off the coast of Haiti, it wasn’t far nor difficult for the French to set foot upon its shores. 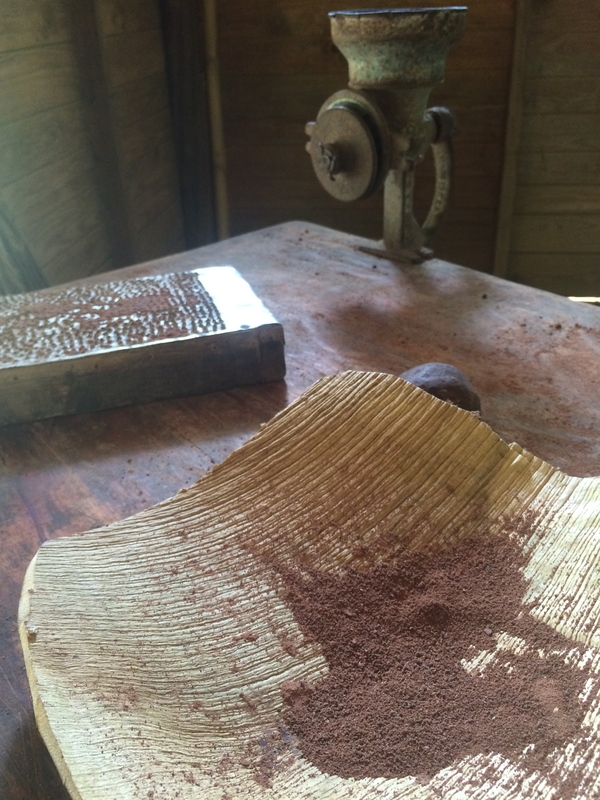 The French then established Baracoa and cultivated their coffee, coconut, and cocoa farms. 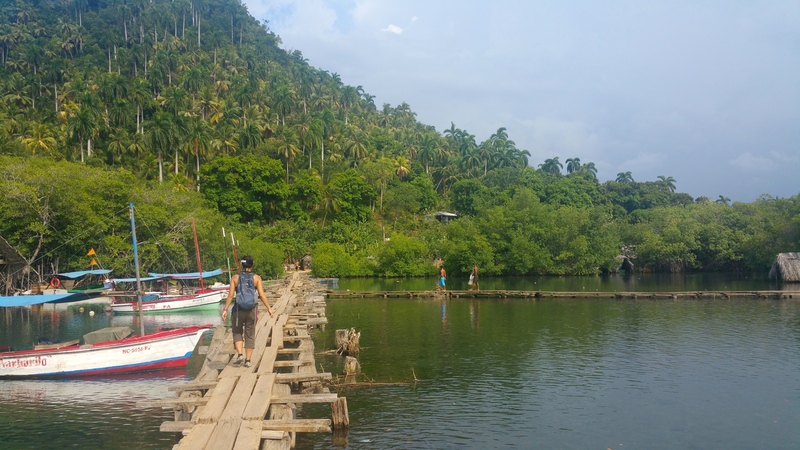 Prior to the ‘60s, Baracoa was isolated from the rest of the country as it was only reachable by boat or airplane. 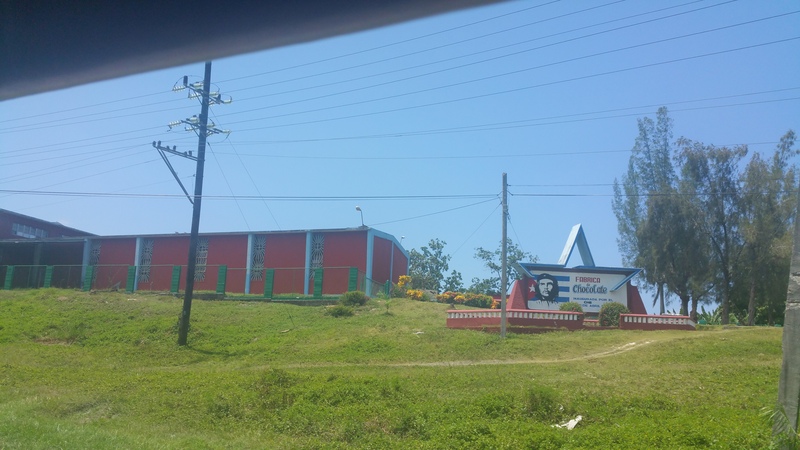 However, as a gift to the loyal revolutionaries in the 1960s, Che commissioned the first and only paved 60-km road from the southern coastline all the way to Baracoa, which took 4 years to build. Now this windy road connects the city and countryside to the rest of the country and is responsible for 75% of its supplies and transport. Our travel day to Baracoa began with typical Cuban flare. Instead of showing up at 9:30am as confirmed the previous day, the driver arrived to our casa at 8:15am. We rushed through packing, preparation, and breakfast, skipped out on other errands we had hoped to run, and left our casa before 9am. But we didn’t hit the road right away. 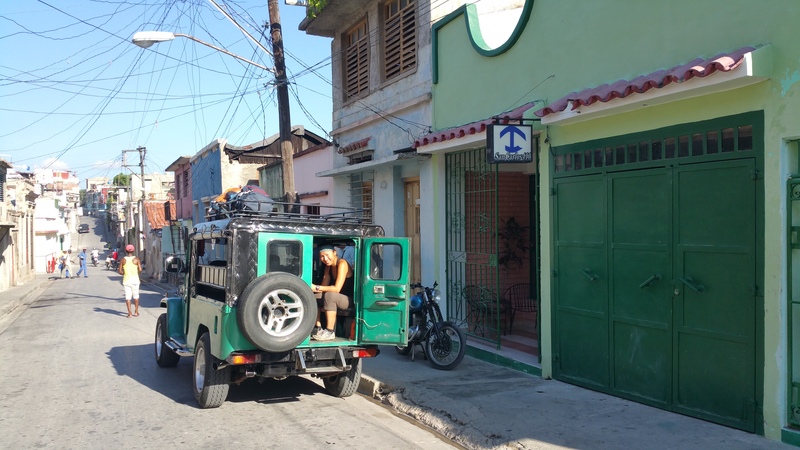 We arrived to the next casa to pick up a family, only to hear them tell the driver, “It’s only 9, and you told us 10.” They too had to rush and we didn’t actually leave for Baracoa until 10am. Despite rushing out the door of our own casa, we ended up having to wait uncomfortably in the heat on the sidewalk for an hour anyway. Typical Cuba. 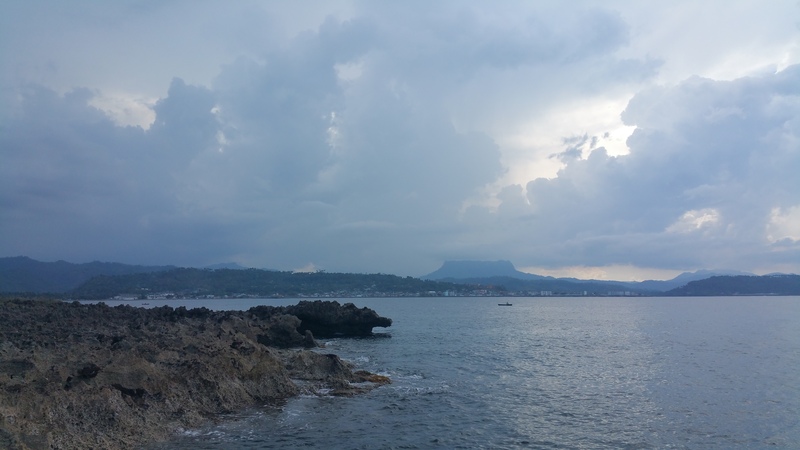 Aside from the typical Cuban logistics, we enjoyed our time in Baracoa. Other travelers we spoke with even felt that Baracoa was their favorite city in Cuba. There were a number of relatively easy-to-get-to outdoor excursions, beautiful scenery, plenty of chocolate, and surprisingly decent food. In town at the Casa del Chocolate, I found bars of chocolate for sale in a glass display. At only $5.5 CUP per bar, (22¢), it was a steal! 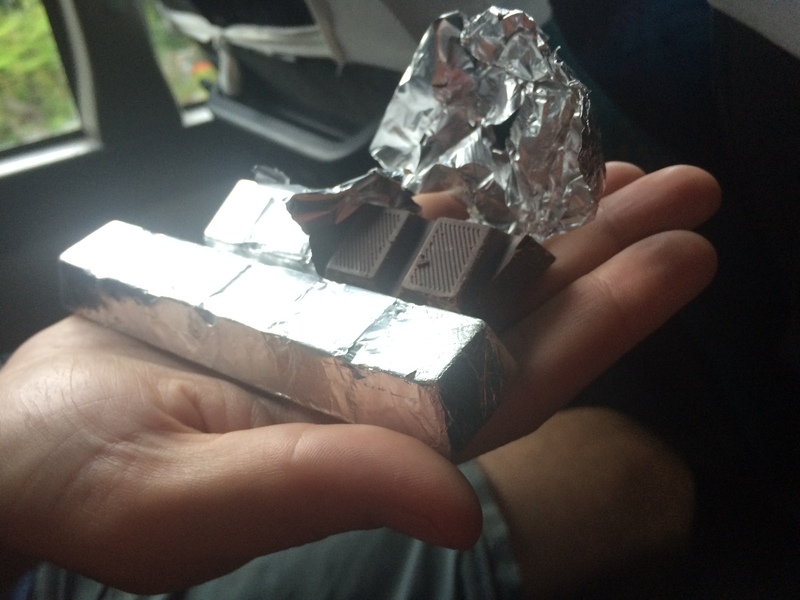 Unlike most food and treats in Cuba, the chocolate was surprisingly good. A friend who also agreed on the quality even said, “I wonder if it’s actually good, or if it’s good for Cuba.” I said, “No, it’s actually good.” Ha! However I made the mistake of trying their hot chocolate. It was perhaps the worst drink I had ever tasted in my entire life. My favorite restaurant in all of Cuba was Marco Polo, right above La Casa del Mojito, literally on the malecon. Not only did it boast the most superb location offering ocean views and a pleasant ocean breeze, the prices and food quality were phenomenal. Casa Nilson, the most talked about restaurant in town, was twice the price but none of the flavors were memorable. 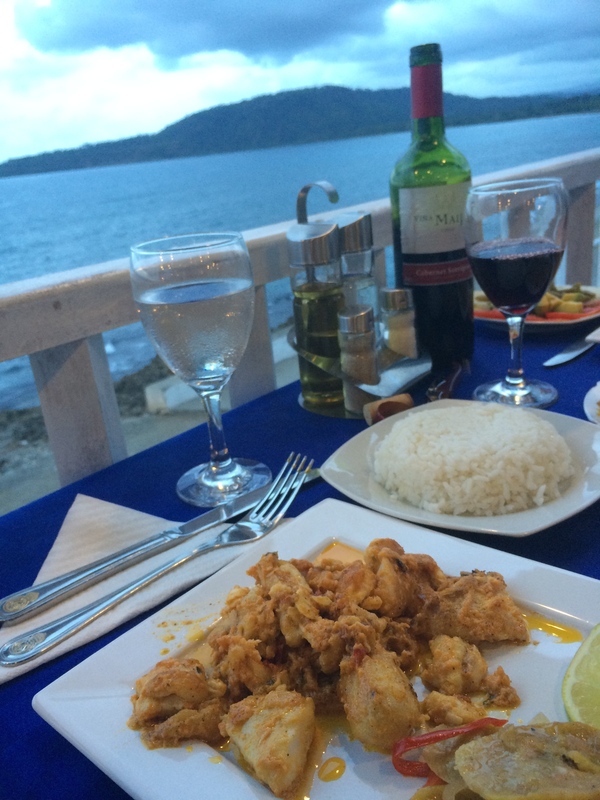 At Marco Polo we drank our own wine without the corkage fee (a $5.90 bottle of Malbec from a small mini market), and we had shrimp and fish with Baracoa’s famed coconut milk sauce for $6 each. For our first and last days we took the gentle stroll to nearby Playa Blanca. Apparently for 2-3 months out of the year in winter, a large section of the beach is filled with water, requiring a quick boat ride to the other side. This time of year it was accessible by foot. El Yunque, the 575 m flat top mountain, has a hikeable 8-km round trip trail. From afar it looked quite spectacular. The trail began several miles on a turn off from the main road, so instead of letting a bicycle taxi rip me off, I thought figuring out public transportation would be more interesting. 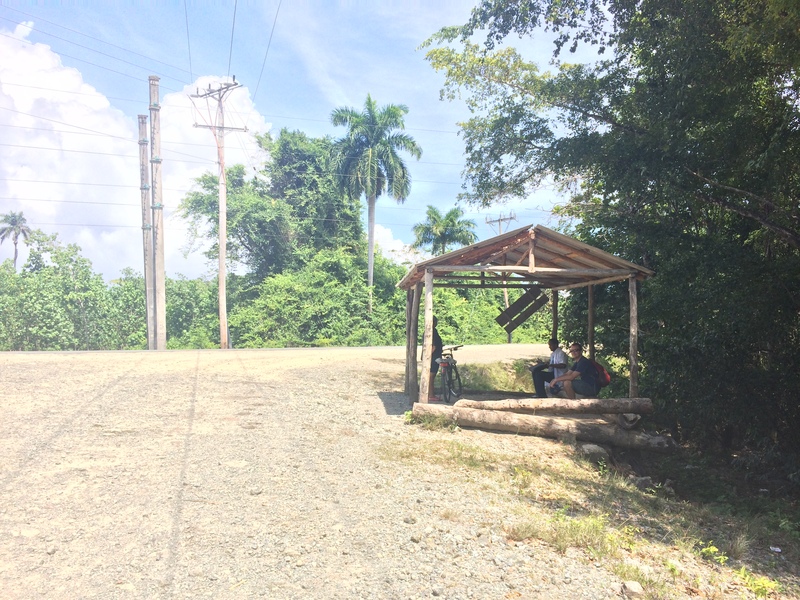 We asked locals where the nearest bus stop was for the chocolate factory, located at the turnoff for El Yunque, and we quickly learned that the congregation area for public transportation was at the park at Antonio Maceo and Mariana Grajales. Once the locals knew where we were headed, they helpfully pointed at the next horse cart that promptly arrived. 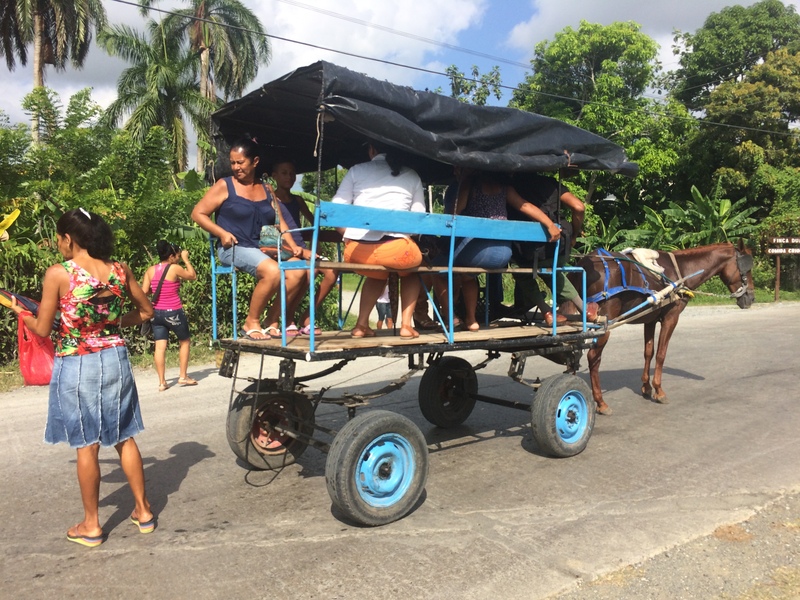 For only $2 CUP each (8¢) we shared a horse cart with locals down the pleasant streets out of Baracoa. Just past the chocolate factory, we, along with a handful of other locals, got off the horse cart. We were just about to walk the couple miles to the El Yunque trailhead when a giant dump truck pulled off the main road and turned onto our turn off. The truck slowed down, and the locals from our horse cart sprinted toward it and climbed in. “El Yunque?” I hesitantly asked the driver. He responded with a smile and a thumbs-up, signaling me to hop into the back. 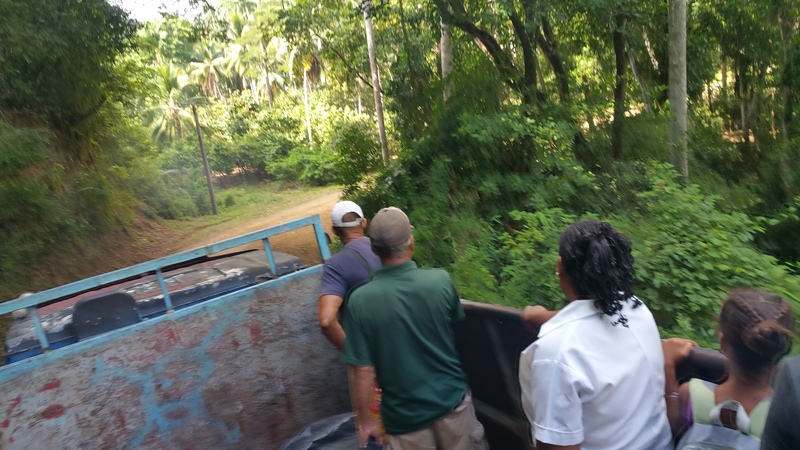 Chris and I climbed up the ladder into the truck and enjoyed the bumpy ride toward El Yunque. Along the way the truck picked up more locals eager for a free lift. As soon as we arrived to El Yunque, we learned that there was an entrance fee of $13 per person just to hike the trail with a guide. It was not possible to hike without a guide. 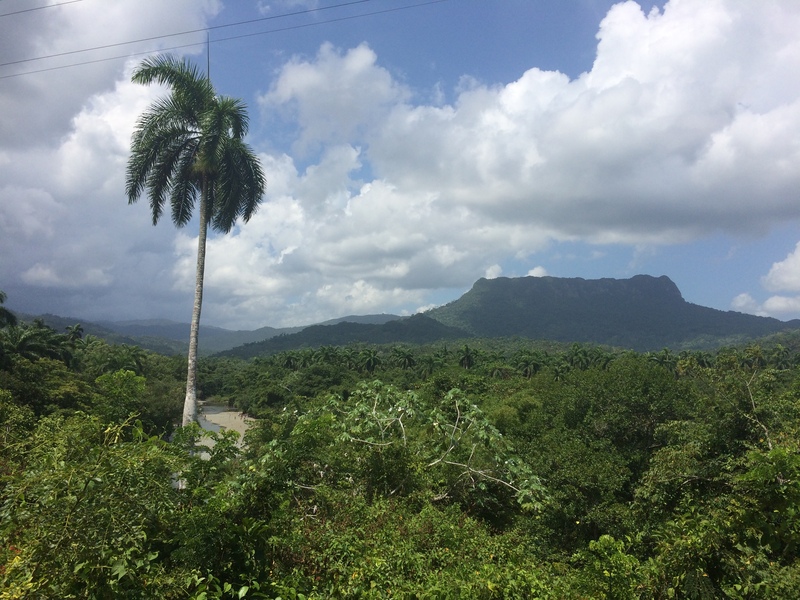 After quick discussion we decided not to hike up to El Yunque for the following reasons: We couldn’t fathom paying $13 for a mediocre-at-best hike just after having chatted with locals about their $14-$20 monthly salaries and insufficient food rations. El Yunque was just something to do in Baracoa, not an epic memorable must-do. And finally, I figured El Yunque wouldn’t be able to top the incredible hikes we had just done in Ecuador and Peru for free. (I later asked some other travelers about it and even they said it wasn’t amazing.) When we told the park staff that it was more expensive than parks in the U.S. and that we were not in favor of the money going to the state and not the people, they offered to make a $5 deal per person and to keep it hush-hush. “We don’t want to lie,” I said in Spanish. That was pretty shady. So off we left, and we actually enjoyed our hike back toward the main road. The hike was along the Rio Duaba, where plenty of families were hanging out along beautiful river beaches. 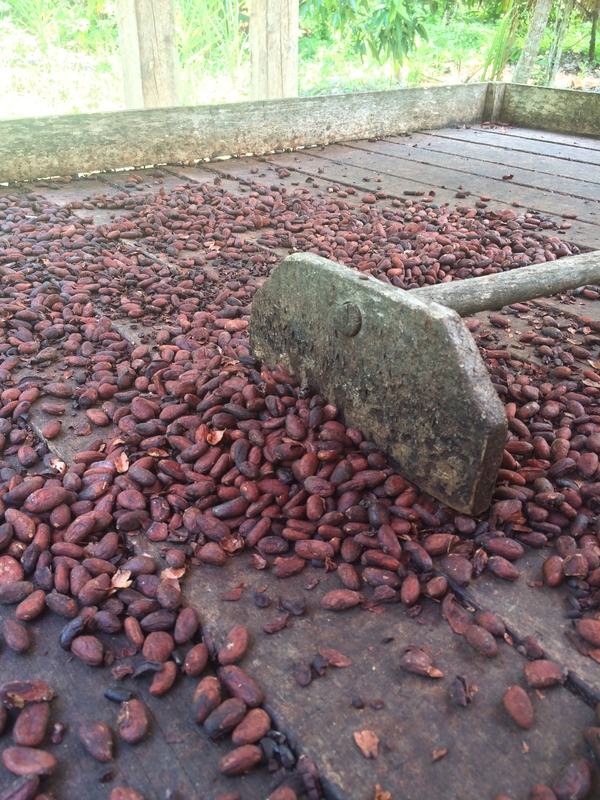 Along the way out we made a brief stop at the farm Finca Duaba, where we ate a delicious lunch and walked around their short, informative cocoa trail. 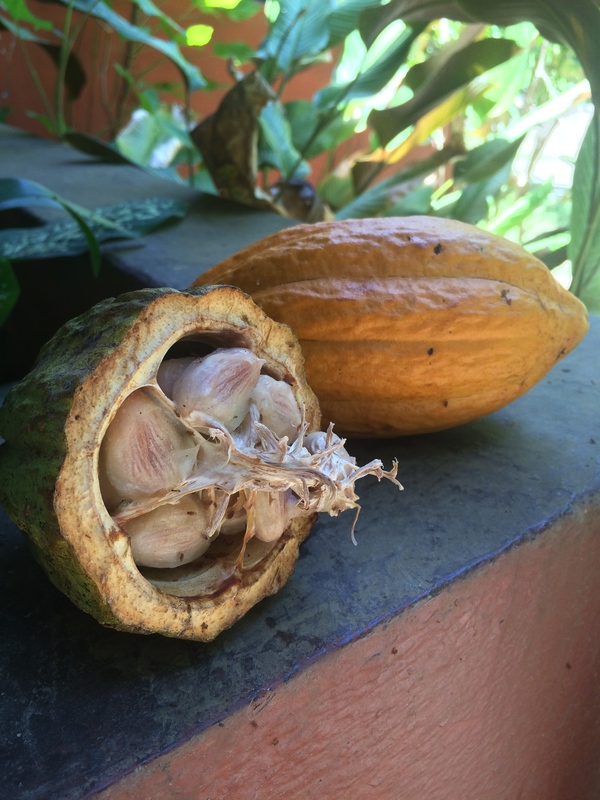 We laughed when a little boy handed us a cocoa bean to taste, and immediately told us it was $2 each after we nibbled it. Already at a young age they learn to trick and scam tourists! We left Finca Duaba and our timing was perfect because as soon as we stepped onto the main road, we saw a truck slowing down for a local. 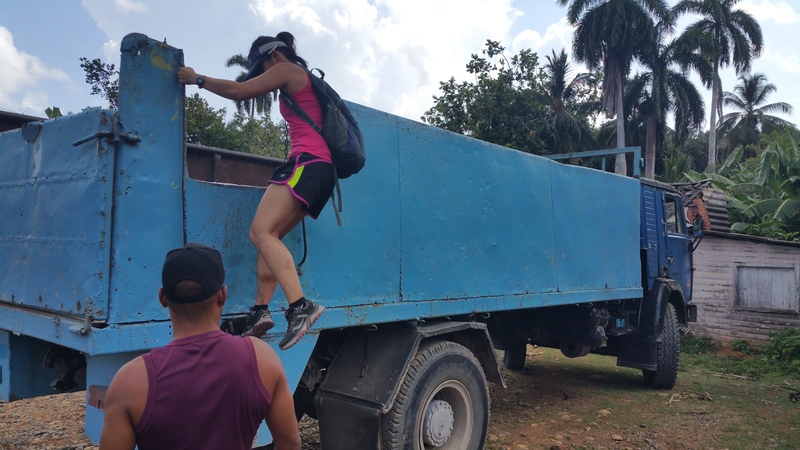 We hopped onto the truck for $3 CUP each (12¢) and we were back in Baracoa in no time. 20 km north of Baracoa is the pleasant, relaxing Playa Maguana. We tried to rent bicycles, but of course, the man renting bicycles out of his house did not open during his stated hours. 1.5 hours after his opening hour, we figured we’d just take public transportation again considering how transport to El Yunque was simple and entertaining. However, unlike transport to the nearby El Yunque, transport to Playa Maguana required patience. Horse carts toward El Yunque came and gone practically every 5-10 minutes, but the only option toward Playa Maguana was the bus bound for Moa. Apparently buses for Moa were more frequent between 6-8am. We ended up waiting at the intersection again at 9…but the bus did not appear until 10:20. (But hey, at least people-watching was fun, and we were able to strike up conversations with other locals who came and went.) By 10:20 a large number of people had gathered at the park, and it turned out we were all waiting (and competing) for the same bus. We all ran to the front of the line, but luckily Chris and I were already standing on the sidewalk. For $5 CUP each (20¢) we were barely able to cram onto the already over-crowded bus. 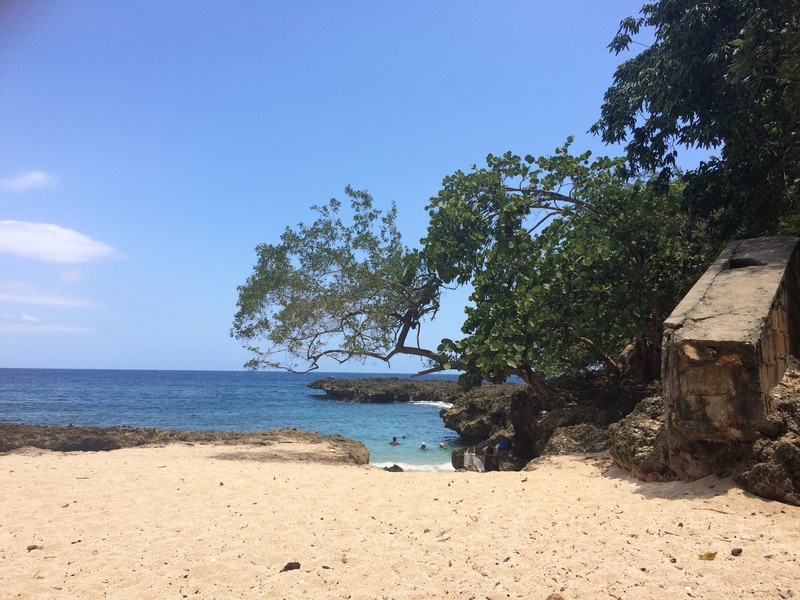 After forty minutes of abrupt stopping and going, people-shoving, unbearable heat, and character building, we hopped off at Villa Maguana. Yay beach time! Once we were ready to leave, we figured we’d get back on the road and hitchhike or find another bus or truck. However we were truly in the middle of nowhere. The hot, deserted roads were vacant in both directions; instead of traffic all we heard were birds and the distant ocean waves crashing ashore. 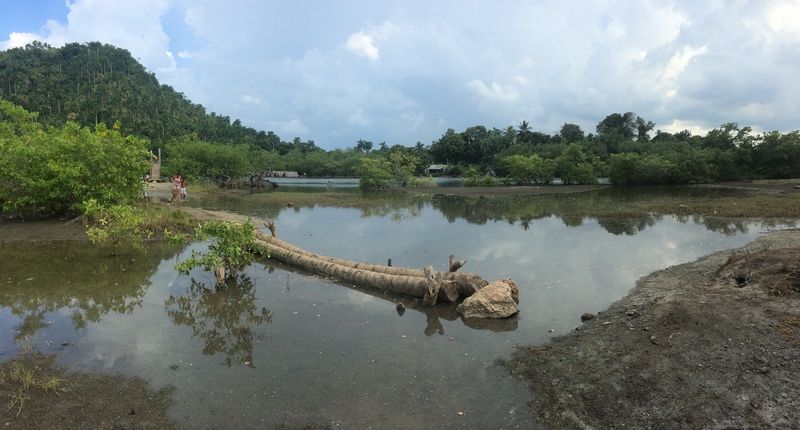 Rather than waiting on the road, we decided to walk in the direction of Baracoa. Worse case scenario—we walk 12 or so miles and get back by dinner. I think only 2 cars passed us the entire time, and of course, no one responded to our thumb signal. After perhaps 2 km, we spotted a shelter off the side of the road with another local waiting under the shade. Yay! A bus/truck stop! We waited at the stop with the other local, a friendly 28-year-old doctor. There we chatted for about 20-30 minutes until a truck showed up. For $10 CUP each (40¢) we totally got ripped off but we weren’t going to complain over a quarter when we had no other options in the deserted countryside. Baracoa and its surroundings were beautiful and unique, offering a different perspective to Cuba. Because there were plenty of excursions to do outside of Baracoa, it was easy to keep each day busy and varied. Tours could have been easily arranged to visit these sites, but figuring out public transportation was so much more fun! =) As our final day in Baracoa passed, we knew our 20-day visit to Cuba was coming to a close since Baracoa was the last city in our itinerary. Although touched by Cuba’s fascinating and enriching culture, we looked forward to returning to modernity and normalcy. 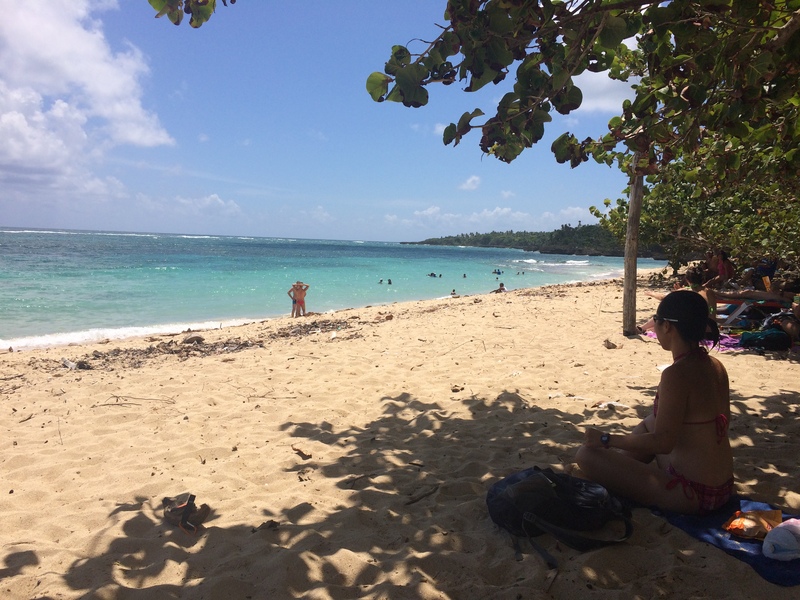 This entry was posted in Cuba and tagged el yunque, playa blanca, playa maguana. Bookmark the permalink.